DIA2 is an NSF-funded effort, led by Purdue University, to create a central resource for researchers and educators who are attempting to transform STEM education. 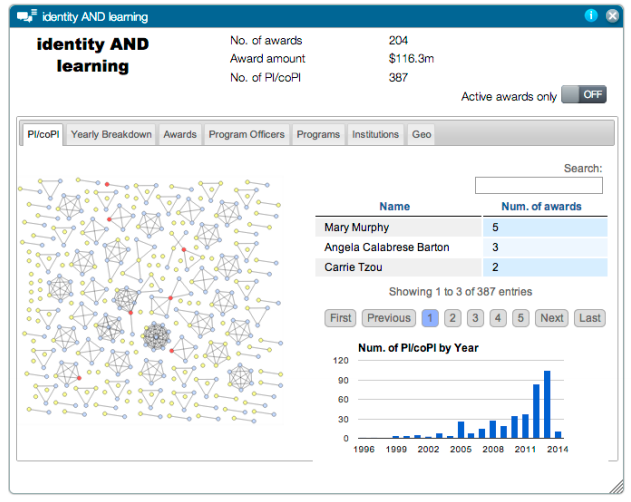 To this end, the team has developed a web-based knowledge mining and interactive visualization tool (www.dia2.org) to help non-experts in data mining and visualization make sense of knowledge and network structures produced as a result of NSF investments. In this demonstration, participants will have the opportunity to use the tool to dive into NSF project and program data using a variety of representations, provide input on the needs of the cyberlearning community, and discuss how DIA2 might better support cyberlearning efforts.